After the Camargue, the ‘Marais Poitevin’ is the second biggest humid zone of France, set between Niort and the coast. During this hike, the marshes unveil their facets from dried out areas to the nature reserve Baie de l’Aiguillon and the Green Venice. 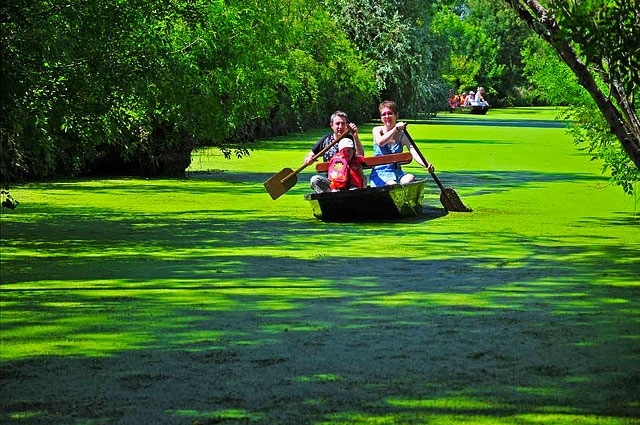 A boat trip is still the best way to discover this green landscape. You can hop on a boat with a guide or hire one yourself and let yourself be guided over the canals.